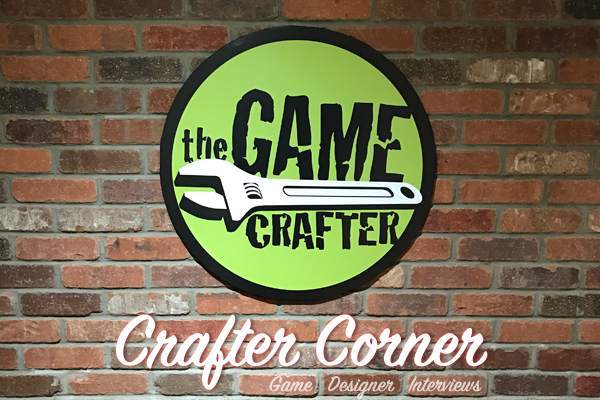 Steve Ruduski from The Gaming Careers Podcast has teamed up with The Game Crafter and created a new podcast called Crafter Corner. This is a 15-20 minute interview with a designer from The Game Crafter community. There’s also a long form version of the interview (typically 60+ minutes) which covers additional topics outside of TGC and those will be released at the same time on his website. Episode 1: Our very first episode and it features the talented Alisha Volkman! She’s a game designer, artist, TGC chat moderator, and longtime supporter of The Game Crafter community. Episode 2: Jason Miceli from Geek Fever Games talks about how they use The Game Crafter, running TGC Designer Tables, Crowd Sales, and more. This is a new experiment we're doing and we'd love to hear your feedback. Feel free to comment on our various social media channels or reach out to us through the green support button on our site. In the weeks ahead we'll be reaching out to more designers in our community with invites to participate on the show.